On May 2, 2018, New Jersey Governor Philip D. Murphy signed the New Jersey Paid Sick Leave Act, which allows New Jersey’s private and public workers to accrue and use up to forty hours of paid sick leave per year. 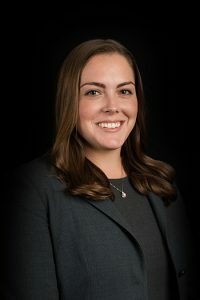 This new law expressly preempts municipal paid sick leave ordinances, which had been in effect in thirteen New Jersey municipalities, including Newark and Morristown. New Jersey is now the tenth state in the United States to require paid sick leave. The Paid Sick Leave Act applies to all businesses that employ employees in New Jersey – there is no exemption for smaller employers. As for employees, most full-time and part-time workers are covered by the Act. However, per diem healthcare workers, construction workers employed pursuant to a collective bargaining agreement, and public employees who already have sick leave benefits are ineligible for the benefits provided by the Act. The Act requires businesses to offer their employees one hour of paid sick time for every thirty hours worked, starting on the employee’s 120th day of employment. Employees may accrue a maximum of forty hours per year; however, a business may choose to simply offer employees the maximum forty hours of paid sick leave per year up front, in lieu of the accrual system. Employers are required to pay employees at their regular rate of pay when they use paid sick leave. An existing paid time off (“PTO”) plan could already satisfy the Act’s requirements if it provides equal or greater benefits than the benefits provided under the Act. The Act is set to take effect on October 29, 2018. Employers must post a notice (provided by the commissioner of the New Jersey Department of Labor and Workforce Development) in a conspicuous place and must also provide a copy of the notice to all employees within thirty days of the issuance of the notice by the NJDOLWD, at the time of an employee’s hiring, and any time an employee requests a copy. Employers with New Jersey employees should review their existing PTO and sick leave policies to ensure compliance with the Act. 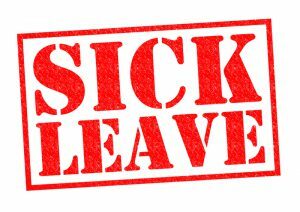 Please contact Walsh Pizzi O’Reilly Falanga LLP’s employment counsel for more information or for guidance on reviewing or revising policies to comply with the New Jersey Paid Sick Leave Act.